Whether it’s at a casual meeting or an important industry seminar, business cards remain one of the most effective ways to easily distribute contact information. When it comes to building connections, however, staying memorable is crucial to ensure future contact. As a result, it’s necessary for business owners and professionals to find new and exciting ways to stand out from the crowd. After all, it’s likely that the person you give your card to has several others in their pocket, which could be from competitors in your industry. When that person goes to sort through them later on, what will t hey be more inclined to remember: the lackluster black-on-white mass-produced card or the card with the professional graphic design and luxurious sheen? 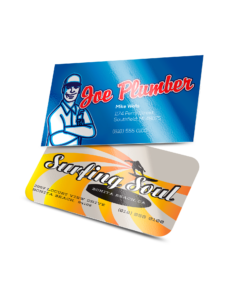 With luster printing, your business cards will have a brilliant shine and be more wear-resistant than those of your competitors, ensuring that your new connections remember both you and your business. Postcards can take a beating. Since they don’t have the protection of an envelope, postcards stand the risk of being exposed to wet or damp conditions that can potentially ruin messages, addresses, and graphics. As a result, some postcards use some sort of external coating to help resist the elements and general wear-and-tear. Our Luster coating adds a thick 3 mil high gloss to heavy card stock, resulting in unparalleled durability and shine. By printing on luster cards, your postcards will have a professional look surpassing that of typically produced postcards and be more likely to hold up over time. Whether it’s a wedding, graduation, or a baby, your announcements – both personal and professional – deserve a high-quality print job. Since many announcement cards also serve as keepsakes, it’s important to ensure that they’ll be able to stand the test of time and look good doing so. With luster printing, your announcement cards will have a brilliant sheen that will hold up to years of display. In the business world, a well-printed announcement card also conveys professionalism. Many new businesses make the mistake of trying to cut their printing costs by utilizing budget or DIY printing solutions. While these methods are effective some of the time, they usually result in low-quality marketing materials that may not convey the right message or make a good first impression. Luster cards, however, demonstrate an uncompromising commitment to quality and detail while providing a surprisingly low per-unit cost. Business cards, postcards, and announcement cards are just a few of the many possible promotional items that can benefit from Luster products; the only limit is your imagination! Common examples include small information cards, happy hour menus, photo samples, welcome cards, and more. Whatever you decide to print, luster cards offer a memorable glossy sheen and a durable, water-resistant coating. 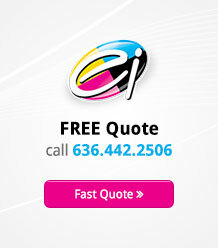 With Electro Image, creating and printing your marketing materials on Luster cards is easier than ever before. 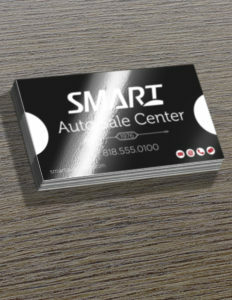 Luster cards consist of a heavy, 16pt cardstock laminated with a 3mil gloss-laminate, resulting in a thick, durable, and extremely glossy product. Only requirement for printing these superior products is full-color, high-resolution press-ready PDF files provided by either you or our professional graphic design team can help create the vision to make your marketing materials memorable.